Partition the pull-ups, push-ups, and squats as needed. Start and finish with a mile run. If you've got a twenty-pound vest or body armor, wear it. Many CrossFit affiliates celebrate Memorial Day by doing the Hero WOD "Murph." Murph is probably the most recognized Hero WOD and it is rough! We do more to pay tribute to his sacrifice and the sacrifices of other men and women in uniform. 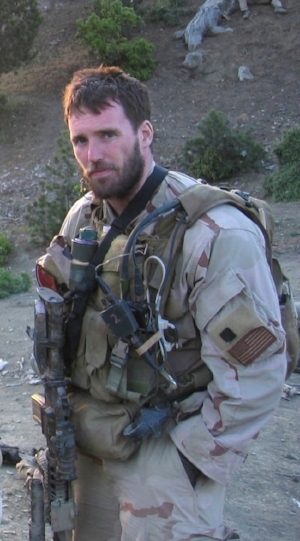 Below is more about Lt. Michael Murphy. Under the assumed name Muhammad Ismail, Shah led a guerrilla group known to locals as the "Mountain Tigers" that had aligned with the Taliban and other militant groups close to the Pakistani border. The SEAL mission was compromised when the team was spotted by local nationals, who presumably reported its presence and location to the Taliban. Trying to reach safety, the four men, now each wounded, began bounding down the mountain's steep sides, making leaps of 20 to 30 feet. Approximately 45 minutes into the fight, pinned down by overwhelming forces, Dietz, the communications petty officer, sought open air to place a distress call back to the base. But before he could, he was shot in the hand, the blast shattering his thumb. The Naval Special Warfare (NSW) community will forever remember June 28, 2005 and the heroic efforts and sacrifices of our special operators. We hold with reverence the ultimate sacrifice that they made while engaged in that fierce firefight on the front lines of the global war on terrorism (GWOT).